I left my abuser 12 years ago. At that time, to receive help, I had to call the National Domestic Violence Hotline. I had just recently received a cell phone, and it wasn’t a “smart phone.” My phone didn’t have my contacts in it, so I carried around a small address book with phone numbers I needed. Fast forward 12 years. Now, almost every American over the age of 10 has a smart phone. In our hands is immediate access to the internet, and all our contacts at a touch of the screen. This can be wonderful for an abuse victim, or may be the opposite. Your abuser can see everything you text, any apps you have on your phone and any websites you have visited. Your abuser can track you via your phone, should you try to leave. I usually recommend victims who are escaping their abusers to leave their phones behind so their abusers cannot track where they are. On the other hand, there are many new apps that can help you in an emergency situation. 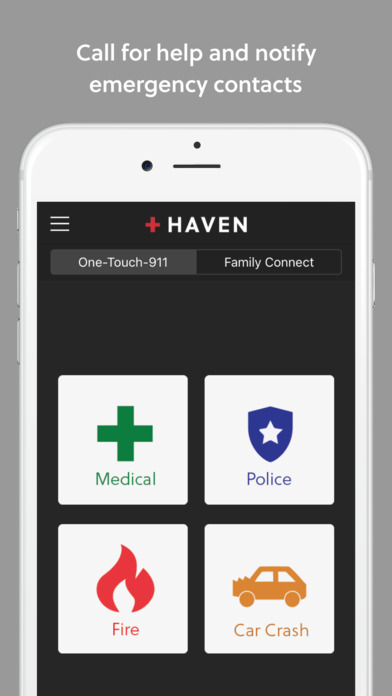 The National Coalition Against Domestic Violence (NCADV) recently announced a new partnership with RapidSOS to create a new app called Haven. This partnership will offer the RapidSOS Haven app for free for the next year to anyone associated with NCADV. Once you have entered your email and any contacts you wish into the app, you can access 911 immediately with one touch. The app gives you a chance to receive medical help, police, fire, or help in a car crash. Also, you can tap the Family Connect button, and be instantly linked to the emergency contacts you entered when you registered. The app will then give your exact location to whoever you’ve contacted. The app also has a “can’t speak” function. How would this be helpful? Let’s say you are at home, and your abuser becomes enraged. You can quickly activate the app, and, even if you can’t tell an operator what the problem is, the app will transmit your information and location to the authorities. Your abuser won’t hear a dispatcher asking for your address. You simply touch the button, and the app does the rest. Of course, the down side of this is that the app must sit on your phone, and the picture has a red cross on it, and the name Haven. If your abuser sees the app and asks questions, you could say that it is there to protect your family from fire or burglars, but that might not be enough to keep your abuser from getting angry. You would need to consider what would be best in your situation. Perhaps your abuser rarely checks your phone. In that case, you might decide the limited chance s/he might find it is outweighed by the benefit you get from knowing you just need to tap a screen and help would be on the way. One such app, called Telegram claims that using their app, messages are unrecoverable, unlike common email or texting. Messages cannot be forwarded, and when you delete a message on your side, it instructs the message to be deleted on the recipient’s side as well. If someone screenshots your message, you’re notified. Bonus: you can set up a self-destruct timer before sending a message, forcing the message to destroy itself in a certain number of minutes after it appears on the recipient’s screen. The downfall to the app is that the person you’re messaging must have the app, too, or it’s basically useless. Also, what Telegram doesn’t tell their users is your messages will only be encrypted if you turn on an additional setting. Another app is called WhatsApp. This app claims to allow private individual and group chats and calls, and also offers end-to-end encryption so no third-party can view the messages, and promises this security is automatic without turning on any additional settings. However, this company was recently bought by Facebook, and revealed that it would share some information with Facebook, after the company bought out the app in 2014. YIKES! No thank you! A third app called Threema claims that your messages and contacts are not shared with the app, are protected against hackers, and messages are deleted after delivery. The other bonus for people trying to stay private is that the app doesn’t require a phone number, email address or any other personal information to use it. Instead, users are assigned a randomly generated eight-digit Threema ID when they open the app for the first time. Another piece of bad news is that these apps can be used by abusers, too. “Abusers often use apps like these to cover their tracks, in an effort to keep their harassing and threatening messages from being saved by the victim and potentially used as evidence against them,” says Corbin Streett, LMSW, technology safety specialist with the National Network to End Domestic Violence’s Safety Net Project. Again, YIKES! Because these “secret” messaging apps can make proving threats from an abuser more difficult, Streett recommends survivors connect with someone, such a trained domestic violence advocate, who can help them think about safe ways to collect evidence, if they need to do so. I’m not too excited about these apps. I believe if a DV victim needs to keep texts or calls private, it would be wise to not use their cell phone or home computer. Instead, make a call from a friend’s house, or use a computer in the public library. Sometimes, the old-fashioned ways are the best ways. If feel you may be in danger, please contact the National Domestic Violence Hotline at 1−800−799−7233 or TTY 1−800−787−3224. You can also use DomesticShelters.org to find your nearest crisis center. Ask them to let you speak to a DV advocate who can help you safety plan. Question: Have you ever tried one of these safety apps? Do you believe it helped you remain safe?